You are simply AMAZING girl…AMAZING!!!!!! Um ok, I’m totally impressed. I never could have figured that out! AWESOME Lisa, and I LOVE hearing your voice on the video. Miss U! I love that your blogging again! Your tutorial is great, I can’t wait to make one. It seems so easy. I’m always looking for something new to embellish a ballroom costume, and I think this is something that will work. PS….love your New York accent. Shoot….I was going to ask if you could make a video just talking. LOL Love hearing it! Great tutorial. Another project to start…..
Wow! That dress is beautiful! You are really amazing! Great tutorial, love that rose and love that dress!!! but then, I am not surprised!!!! Love everything that you do!!! 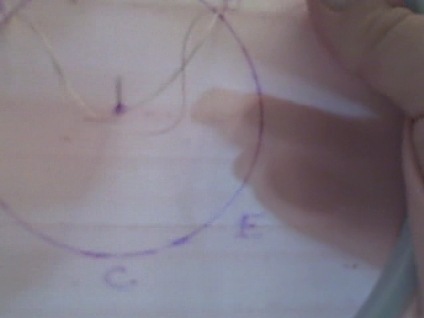 OMGOSH I have been trying to figure out HOW to make flowers for my clips and something to add to my CHristmas dresses…. I just made one of these using your little instructions they are SUPER easy to make! I have been looking for ages for a tutorial on this exact thing. Thank you SO much! Wonderful tutorial! Thank you! These gorgeous roses look like they’ll be a lot of fun to make. I can’t wait to try one. Again thank you for sharing this with us! Hi…I just want to say how much I ADORE the christening gown you made and as soon as I saw it, the roses and the fabric of the ‘skirts’ are what grabbed my eye…Thanks so much and I just want you to know how much I love ‘visiting’ you. Love this tutorial! I have always failed at making fabric roses. Definitely going to give this one a try. Thank you. Your dress is stunning! I LOVE your Spider Web Rose! 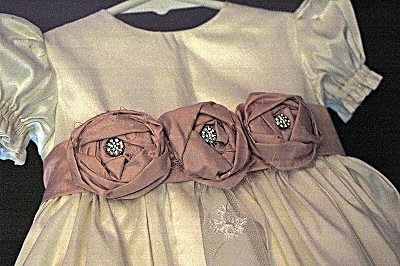 When I saw them on the Christening Gown, I fell in love with the dress and the roses. YOU and that gown are my INSPIRATION! A dear friend asked me to make a Christening Gown for her Great Granddaughter, to be born any day, and when I saw the fairytale gown you made, I was inspired! I have never made one, this is one of the few firsts left that I want to sew during my life! The gown I designed is now going to have a few little SpiderWebRoses! Thank you Lisa for sharing your wonderful talent and now the video….you make them look EASY PEASY to make! I love anything with roses and these are so beautiful. Thanks for the tutorial!! These are beautiful! The dress is amazing as well! Thanks for the opportunity! Glad the tutorial will be useful! Can’t wait to see everyone’s creations! This is great! I’m definitely saving your tutorial to my favorite places for future reference. I’m sure I’ll be referring back to your site many times. Thanks a bunch. Wonderful tutorial, very detailed. I love silk ribbon embroidery and you have inspired me to take it to a new dimension. Thanks for the opportunity to get the supplies to do that. 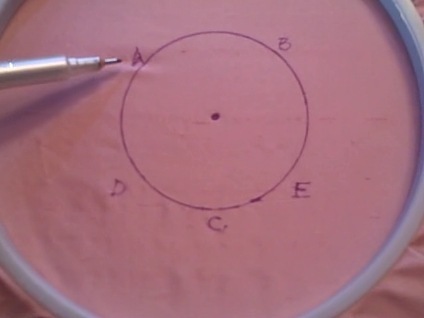 I heard about your blog and the tutorial on StitchMap a Yahoo group for needleworkers. Great tutorial, Lisa. Thanks for sharing! These are fantastic! My 5 year old watched the video with me and she wants to make some too–it seems like a simple enough project that I can let her in on the rose making action! Thanks for sharing the tutorial. As always, you’re an inspiration to us all!! I like the way you have a process for everything you make. I have made fabric roses. But never thought of making it this way. If I win I think I will do the project with my 8 year old who would love the quality time spent together. These are so beautiful! This would be awesome to know how to do. Oooh, winning the supplies would make it so much easier to do this. I’d love to be entered. Hope it’s not too late. Still time to post a comment so you can be entered to win a Silk Spider Web Rose Kit! Lisa! I’ve always wanted to do these. I think I’ve got some silk slithering around here somewhere. I’m off to see! Are you really Marthas sister and not telling us HEHE! 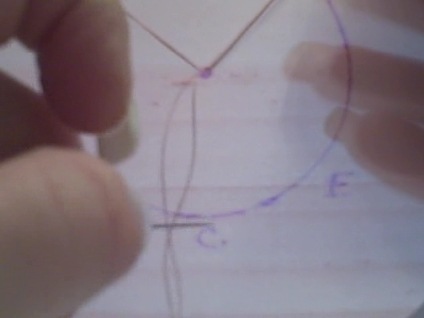 I have a question…if you spaced out C, D, and E would the rose still “work”; or do they need to be grouped together at the bottom of the circle? Beth…of course. Just keep in mind, you want an upside down 5 point star. Oh my, that sure is a Pretty Rose!!! Thank You so much for making the Tutorial! I’ve just come across your tutorial and absolutely love the spider roses. I’m going to make a cushion with these on when I get time. Thank you!